Charleston, WV – (August 5, 2013) — The Charleston, WV-based Brickhouse Cardio Club fitness franchise today announced it will open a Richmond, VA area studio. 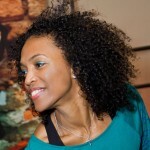 Renowned fitness trainer April Smiles joins Brickhouse Cardio Club and plans to open her Brickhouse in the fall of 2013. Brickhouse Cardio Club has franchisees in 21 states including West Virginia, Pennsylvania, Maryland, Virginia, Delaware, Missouri, Oklahoma, Texas, North Carolina, Ohio, Washington, Rhode Island, Florida, Mississippi, New Jersey, Kansas, South Carolina, New York, Georgia, Indiana, and California. It recently announced its expansion into Canada and plans even more overseas expansions. For more information about Brickhouse Cardio and franchising opportunities, call Vic Sprouse at 304-993-4937 or visit the website, www.brickhousecardio.com. About Brickhouse Cardio Club: Brickhouse opened its first location in Cross Lanes, West Virginia in September 2010 and soon followed with a Charleston location in October 2010. Since then, the Brickhouse Cardio Club fitness studio franchise has added franchisees in West Virginia, Pennsylvania, Maryland, Virginia, Delaware, Missouri, Oklahoma, Texas, North Carolina, Ohio, Washington, Rhode Island, Florida, Mississippi, New Jersey, Kansas, South Carolina, New York, Indiana, Georgia, and California. It recently announced its expansion into Canada and plans additional overseas expansion. Brickhouse Cardio Club fitness studio franchise continues its expansion throughout the country and overseas. Its concept focuses on providing a comfortable, supportive atmosphere to help its members achieve their fitness goals through group fitness classes. April “Smiles” Smith is a well-known Fitness Professional who licenses Instructors around the globe and presents at fitness conferences across the country. April earned her nickname from her contagious SMILE! Life in the wellness world intrigued April, so she decided to learn more about health and fitness, and how to combine such knowledge with her passion for dance. A family member introduced April to the Institute of Integrative Nutrition, where she enrolled to become a certified Holistic Health Coach! She received her training from the Institute for Integrative Nutrition, learning more than one hundred dietary theories and studying a variety of practical lifestyle coaching methods. This has been an exciting adventure so far for April and she is very passionate about physical, emotional, and nutritional health. This new life path has been an inspiring journey—April desires to inspire, to give back to the community, and to share the message with the world that a life inspired is a life worth living!